If you’re one of the hundreds of new daily visitors to BeHappy101.com or a new subscriber to this BeHappy! Newsletter... welcome aboard! And, if you've been a visitor to BeHappy101.com for a while and have been a loyal subscriber to this newsletter, welcome back!! I’m Jimmy, and my mission is to improve your life dramatically by making it a bit happier - or, better yet, a lot happier - everyday. I am a doctor, corporate executive, entrepreneur, author, and speaker. My wife (Jill), our 11-year-old daughter (Joie), our 7-year-old daughter (Jae), and our 3-year old golden retriever (Jessy) live in Tampa Florida (most of the time). 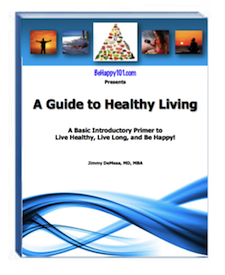 Through this newsletter, my website (BeHappy101.com), my books, E-Coaching, and other BeHappy! products, I am committed to improving the lives of as many people as possible. So, I would love to hear from you on how your life has changed by using the BeHappy! system, or how I can help improve your life more by making the system even better. Just click here to contact me and I’ll respond to you personally as soon as possible – or just give me your happiness tips, comments, suggestions, stories, or thoughts to share with others. Here’s to your happiness and to having the kind of life you want to have! The purpose of this newsletter is to provide a regular and consistent supplement to the action-oriented process found within my website - www.behappy101.com - and in my book, BeHappy! Actions for the Next 60 Days to BeHappy! This is far beyond a “How To” concept. It is rather a “Do” system, which, when used in conjunction with the BeHappy! book and The Happiness Academy (coming later this year), helps create your own personal “Happiness Plan” for your life. If you want a template or “blueprint” for this Happiness Plan, click here and you can get it free. Also, make sure to get my free “Happiness Formula” Video Course just by clicking on the link in the box above or just click here. It will change your whole perspective on happiness – and on life in general. Since my goal is to help make people happier, though, it’s best to first get my book, BeHappy! to use along with the Happiness Plan template, the video course and the website to achieve maximum benefit (yes, that’s partly a sales pitch — but it’s true). Just click on the "Order FREE Now" button below and I'll sign one for you and send it out right away! "BeHappy! 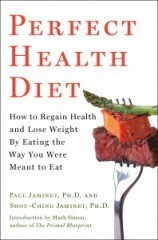 at Work" and "A Guide to Healthy Living". A quick, effective guide to reduce and manage stress in an easy eBook format. The last edition of the BeHappy! Newsletter was about knowing your personal Definition of Happiness. Did you figure out yours? Did you already know it? If you went through the steps I outlined, you should know it now (and for some, it may be different than you thought). If you don't know your Definition of Happiness it's critical that you figure it out since it forms the foundation for living your happiest possible life. It's a simple concept. You can't expect to end up at a specific destination (in this case, happiness), if you don't know where you are headed (which is your Definition of Happiness). Then, once you know your "destination" (i.e., your definition), you can create a plan (a "map") to get there - which is the next step of the process. The “holiday season” is upon us. It seems it starts earlier and earlier all the time. And for many people, the holidays can be very stressful. There are many expectations and obligations to meet, parties to attend, and gifts to buy (which means financial pressure for many people). Then there’s all the eating and drinking, and for some, the holidays means traveling as well. Because of this, I created a "holiday happiness" series, which is intended to make this time of year a bit less stressed and get us all through the hectic holiday season easier and happier. Since this is a "series", what I thought I would do in this edition of the BeHappy! newsletter is provide the first part of the series (Part 1 of the 6-Part series), which looks at the holidays from a "big picture" perspective so that you can view the holidays as fun and fulfilling, rather than stressful and "depressing". This is an essential component of the process since the "details" associated with the holiday season can be “overwhelming” - if overwhelm is part of your vocabulary (see the transformational vocabulary section of BeHappy101.com for one great way to reduce stress and anxiety during the holidays - and anytime of the year). 1. What makes the holidays stressful, difficult, and/or “unhappy”? 2. What do I – or could I – love about the holidays? If you answer these two questions honestly for yourself, you will have a great start to making this holiday season very happy and joyous. That’s because, with the answers to these two questions, we can better understand the specific issues which represent pain and pleasure for us during the holiday season and then more easily create a plan to address them (which will be partly the subject of the next part of this series). So, spend a few minutes right now answering those two questions. Take whatever time you need. Be specific. Then come back and finish this article with the answers in hand. OK, you’ve answered the questions, right? If not, don’t go on until you do. Going to church, the synagogue, etc. Did you come up with some others? Was your “negative” list (the answers to the first question) longer than the “positive” list (the answers to the second question)? Or was the positive list longer? Whichever it is, over the next week it’s important to think about these answers – and use them to create a “Holiday Happiness Plan” for yourself (see below) which expands the positives and minimizes the negatives. For now, just notice some of the feelings and emotions you experience as we get closer to the end of the year. We’ll talk about “rules” next week, for example, which has a huge effect on our ability to be happy at anytime of the year – and especially during the holidays. When you notice how you feel in response to the various issues you wrote down as answers to those two questions, it may even make you realize how your negative emotional responses to the crowds, the parties, and all the other “frustrations” associated with the holidays may be overblown. If you're guilty of this, again, make sure to use transformational vocabulary as one of your Holiday Happiness tools. Also, one of the common issues for just about everyone during the holidays is getting everything done and dealing with all the expectations. So, over the next 24 hours, start creating your “Holiday Happiness Plan”. I’ve designed a “Holiday Happiness Planner” – a template, if you will – to help you with that plan and guide you through the next few weeks more smoothly. I focus on this plan in subsequent parts of this series, and will start implementing the details addressed in your plan to get a bit more specific about what to do to ease the stress of the holidays – emotionally, financially, and healthfully. Click here to open up a copy of my “Holiday Happiness Planner” template to get started with the process. It’s pretty much self-explanatory to get started, so start building the plan using the template – and begin implementing any of the issues which arise within the next week (like shopping, party, eating, and exercise plans). In Part 2 we’ll begin to address some of specific issues associated with your plan. For now, for those of us who live in the United States, Thanksgiving is a few days away. It’s a wonderful holiday for Americans. Partly because it truly represents a huge component of happiness. Yes, to BeHappy! we MUST be thankful (in other words, grateful and appreciative) for all we really have in our lives. We must "give thanks" for all the things we sometimes take for granted ... like food, shelter, our friends and families, and so much more. Sometime, however, it’s hard to feel the gratitude when there’s significant pain in our lives. So to help us all buffer any pain we may be experiencing right now, I’d like to have you read an article written by my friend, and “scientific” contributor to this site, Lisa Jacobson. Lisa has a Masters degree in Positive Psychology and has written an article – at my request – designed specifically to help all of us make it through the holidays with gratitude and joy rather than frustration and anxiety. Click here to read the article by Lisa called A Healthy Dose of Kindness and Gratitude Buffers Holiday Blues. Now, make sure to keep reading so you can continue with the "Holiday Happiness" series or just click here to continue with the rest of the "Holiday Happiness" series. .
Like everything in life, the old saying, “practice makes perfect” also applies to happiness. By using the tools and concepts in the book, BeHappy! - and applying the principles found at BeHappy101.com and in this bi-monthly newsletter - you'll get the coaching and the “practice” you need to lead the happiest possible life. It takes daily action to get “perfect” at it, though. So, if you have read previous editions of The BeHappy! Newsletter you know that every issue provides some simple action-oriented exercises for the next two months (until the next edition of the newsletter) which relate to the main subject of this edition of the newsletter to help make happiness a habit. Just a few minutes of focus every day and you’ll be laying the foundation for the happiest possible life - both for yourself and for those you love. If you do these things, I can promise you’ll notice a big difference in the quality of your life. Take these actions over the next few weeks and I am sure you'll have a much happier, joyful, holiday season. Click here to continue with the rest of the "Holiday Happiness" series. Make sure to get my "Holiday Happiness Planner" if you need it by clicking here. That’s it for now. Do these two things and by the time you get your next edition of the newsletter, it will be a new year. And, once again, if you haven’t yet read my foundational book, BeHappy! there is now NO EXCUSE since you can get a FREE autographed copy just by clicking on the "Order FREE Now!" button below (and you’ll also get A Guide to Healthy Living and Be Happy at Work as free gifts, too). Thanks for being a loyal subscriber! If the information here at BeHappy101.com helps you and you'd like to make a donation to help make others happy, please click on the "DONATE" button below to make a contribution. The amount you give is entirely up to you, and would be greatly appreciated. A portion of the proceeds will used to contribute to the happiness of others. This site is not intended to provide medical, psychological, financial, legal, or any other professional advice or treatment. The content here and at BeHappy101.com is designed solely to provide general happiness, personal development, and quality-of-life information which can support, but not replace, medical, psychological, financial, legal or other professional consultation or advice. If you need professional advice in any of these areas, please seek qualified assistance and consultation. I'm Jimmy, the founder and creator of this site and the whole BeHappy! system. My life's purpose is to be a positive, creative force for health and happiness and through this website, my books, coaching, and happiness-building programs, I intend to help as many people as possible live their happiest possible lives. You'll be helping me help others like you. Let's spread health, happiness, and abundance around the world together. By donating just a few dollars, you will help keep this newsletter alive and help people all over the world to be happy! Any amount is greatly appreciated.